The Dictionary of Ancient Near Eastern Mythology covers sources from Mesopotamia, Syro-Palestine and Anatolia, from around 2800 to 300 BC. It contains entries on gods and goddesses, giving evidence of their worship in temples, describing their 'character', as documented by the texts, and defining their roles within the body of mythological narratives; synoptic entries on myths, giving the place of origin of main texts and a brief history of their transmission through the ages; and entries explaining the use of specialist terminology, for such things as categories of Sumerian texts or types of mythological figures. 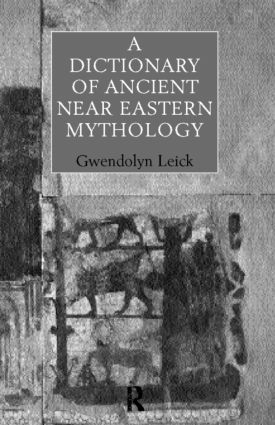 Gwendolyn Leick is Lecturer at the University of Wales, College of Cardiff.